Welcome to my website, my name is Monica and I am a fully qualified and insured Reflexology practitioner and holistic therapist. My home practice is located in Bieldside, a suburb west of Aberdeen City, and is easily accessible from Cults, Milltimber, Peterculter, and surrounding areas on Royal Deeside. I am also available for home visits, within a certain radius. Please contact me for further details. As a Reflexologist I do not ‘prescribe’, I do not ‘diagnose’ and I do not agree to treat a client for a ‘specific ailment’. I treat the person as opposed to the condition. The aim of Reflexology is to assist in reducing stress and tension within the body, thereby rebalancing, and inducing a state of relaxation and wellbeing. 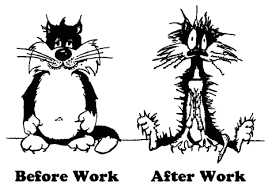 Most physiological symptoms are by-products of an unhappy and stressed individual. Although stress is not an illness in itself, if not under control, it can cause serious illness such as heart disease, asthma, stroke, diabetes and some types of cancer. It could be said that illness is a wake up call from the soul telling oneself to stop and review life, and perhaps to alter one's course. Stress can also affect the mind; you may feel worried, anxious, irritable, or have low self esteem.. you may lose your temper more easily, drink more, or act unreasonably. Your mood can have an impact on how well you sleep. If stressed you may not sleep well enough, which in turn will leave you feeling more stressed. Reflexology is an excellent holistic therapy for reducing tension, and inducing relaxation. When we are free from stress, not only does this promote better health, but we have better relationships, better quality sleep, and our overall mood is improved. Hot Stone massage originated in India and China and has been around for centuries; ancient civilizations believed that hot stones cleansed the body and relaxed the heart, grounding the soul and soothing the mind. As the name implies, the treatment involves using smooth stones which are heated and used to massage the lower leg and to carry out the Reflexology. Reiki is not a religion, but it does honour the life force in all things. It is a healing energy that is guided spiritually, it is not based on belief, faith or suggestion. If you are feeling stressed or angry, tension tends to accumulate. It can cause mild, moderate, or intense pain in your head, neck, shoulders, and behind the eyes. Indian Head Massage involves working with a firm and gentle rhythm to help unknot blockages and relieve this uncomfortable build-up of tension - it also works on an emotional level, calming the spirit, promoting relaxation and relieving stress. 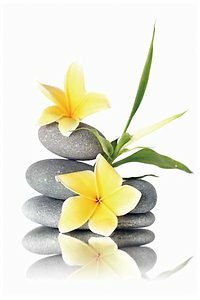 For more information on Reflexology, Reiki and Indian Head Massage, please visit my pages on 'Reflexology' and 'Other Therapies'. I also provide a mobile service for Cults, Milltimber, Peterculter and surrounding areas on Royal Deeside, please contact me for further details on appointments, pricing, or to purchase a Gift Voucher. 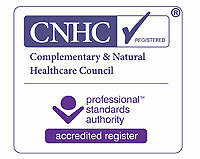 Note: Holistic Therapists support people while living with illness; they do not 'treat' their illness. None of the holistic therapies above are an alternative to conventional medicine.